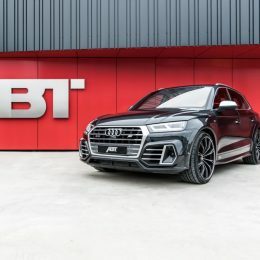 ABT Sportsline takes the three-liter turbo gasoline engine in the new Audi SQ5 to a fiery 425 HP (313 kW) and a torque increase of 10% to 550 Nm. 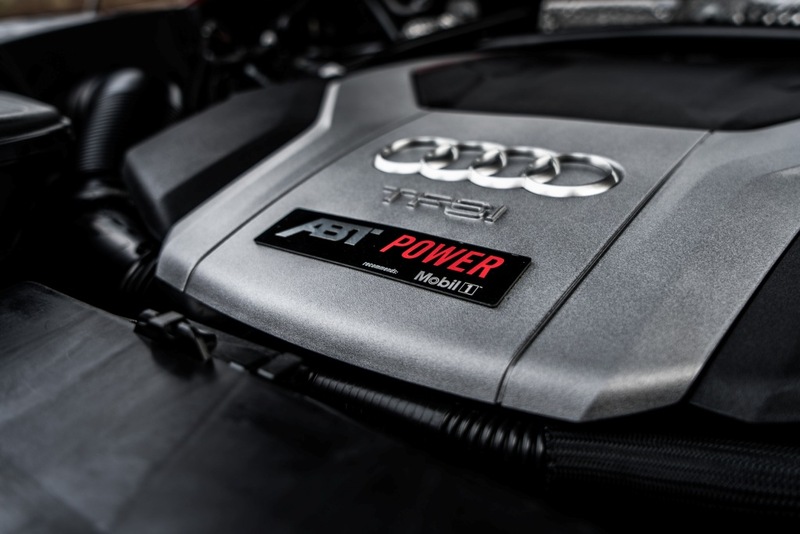 A bold statement from the world’s largest tuner for vehicles from the Audi and Volkswagen Group, as the production version offers 354 HP (260 kW) – just like its predecessor with compressor. 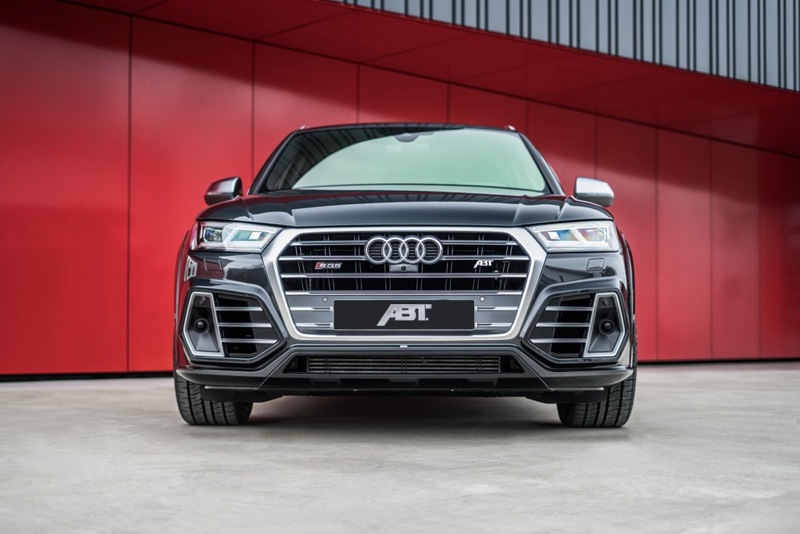 After installation of the additional ABT Engine Control unit, there is definitely more than enough power for a commanding appearance in any situation! 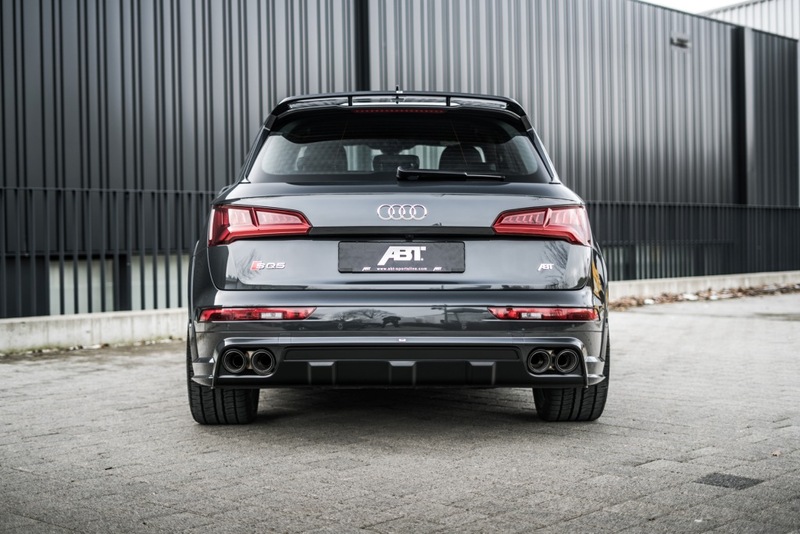 And ABT Sportsline also gives the SQ5 the visible tailpipes back. 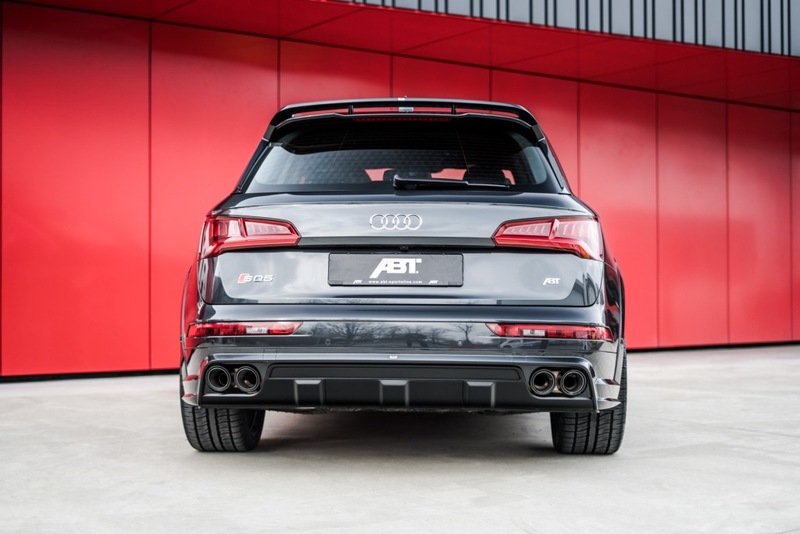 On the production model, the rear end features two decorative chrome brackets, while the real exhaust is hidden. 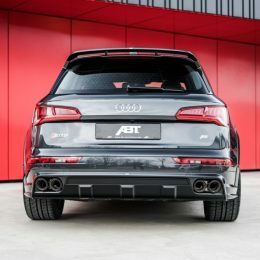 The great-sounding ABT Carbon Tailpipes are part of the new ABT Widebody Aerokit, which makes the SQ5 look even more dominant in a rear view mirror. 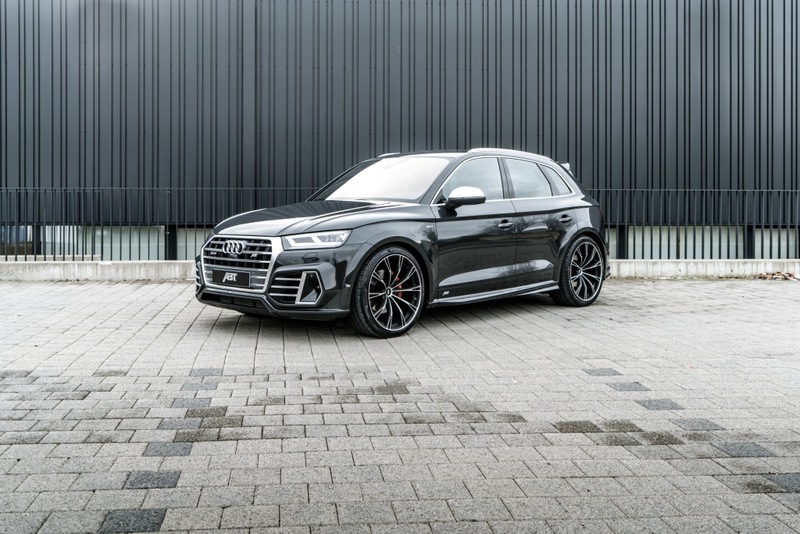 The kit includes an aggressively designed front skirt, fender extensions, door strip attachments and a distinctive rear skirt set. 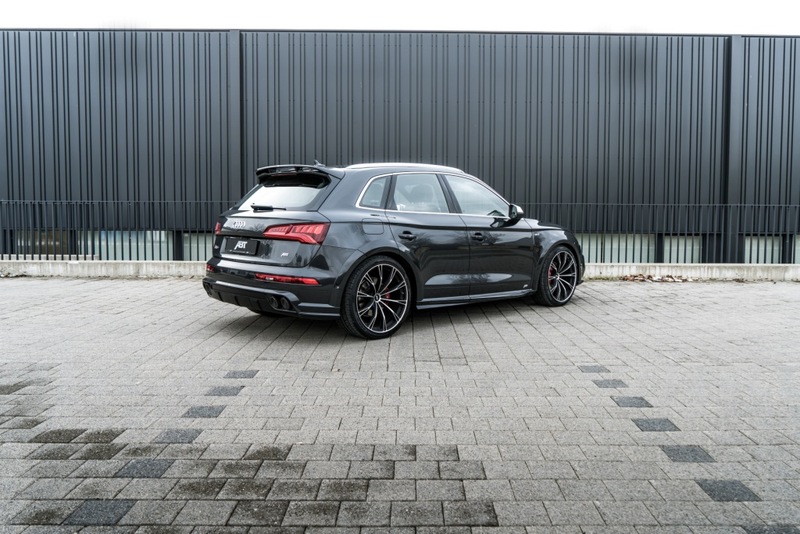 Optionally, SQ5 owners can order a particularly attractive ABT Rear Wing. 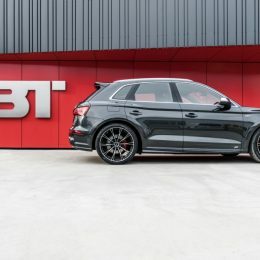 But having something slapped on its roof certainly does not bring the ABT SQ5 to its knees. 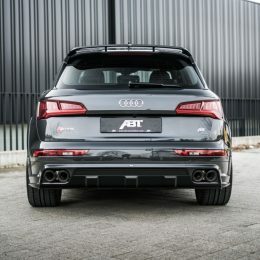 That is ensured by the new ABT CoiloverSuspension Springs which provide lowering of 35 to 60 mm. 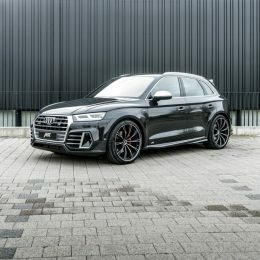 That benefits the appearance and the handling. 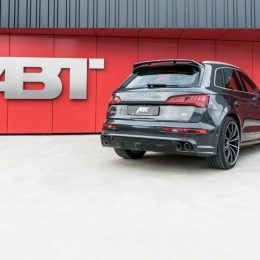 But the ensemble is not complete without a set of matching ABT Alloy Wheels, which are available in different designs, sizes and finishes: “The wide-body version even makes it possible to mount 22 inch sport rims to create an even clearer distinction from the production models,” CEO Hans-Jürgen Abt explains. 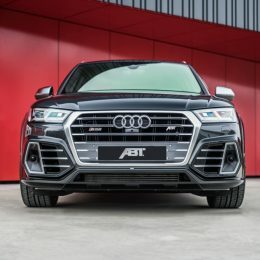 These are available in the GR, DR and FR designs with TÜV certificate. 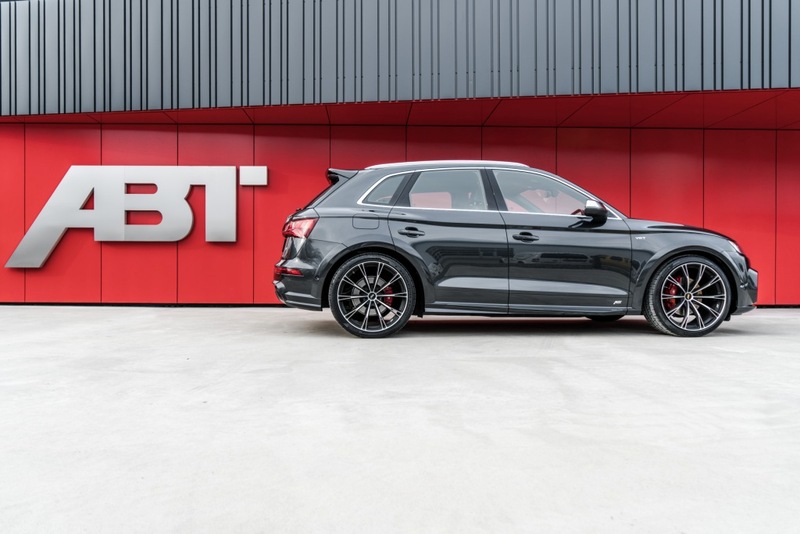 Additional alloy wheels in 20 and 21 inch sizes are available as an alternative. 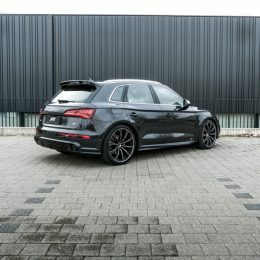 That this is not just any standard SQ5 should also be evident on the inside, though. 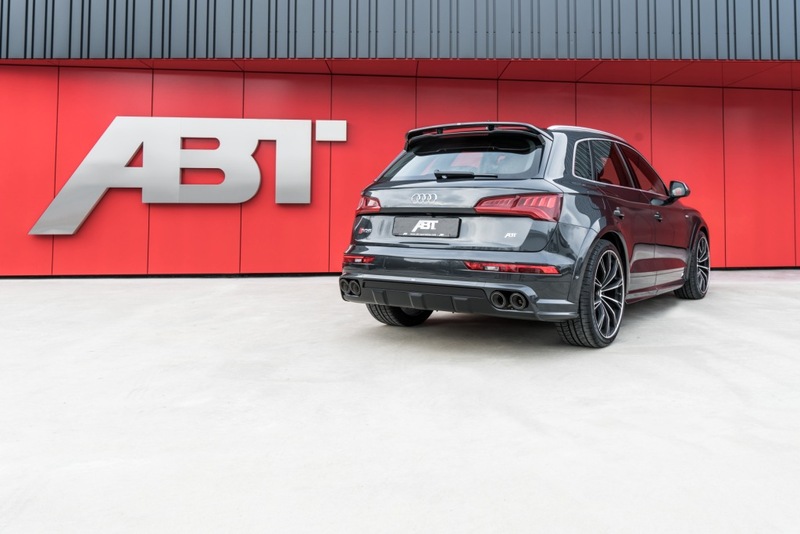 ABT therefore offers the ABT Start-Stop Button and the ABT Gearstick Cover made from real carbon as additional extras. 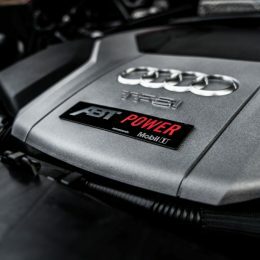 “You will never want to get out of this car again,” Hans-Jürgen Abt jokes. 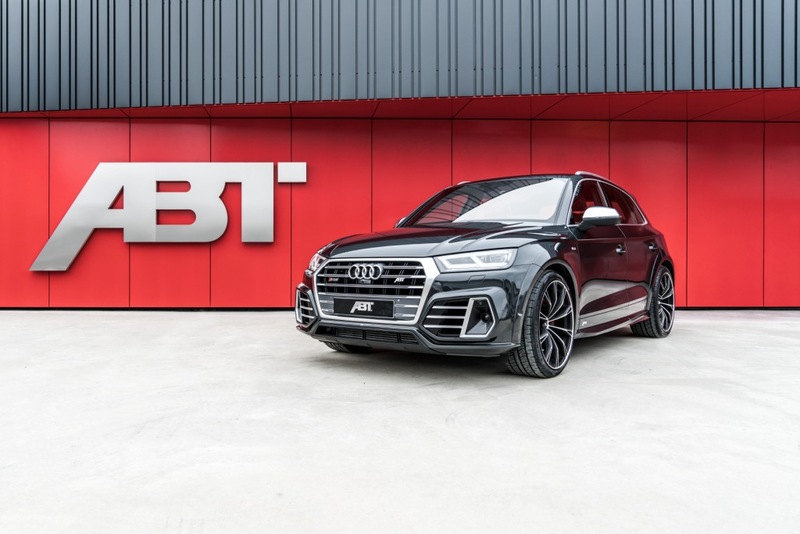 But when you do, the optional ABT Integrated Entrance Light nonchalantly projects the logo of the Bavarian tuner onto the ground when the door is opened.